This week's post is short and sweet, literally. These chocolate wrappers were recently designed to add to De Fleuriot Chocolates' range. The top one features our shabby-chic vintage rose gift tags that we made ourselves and photographed. 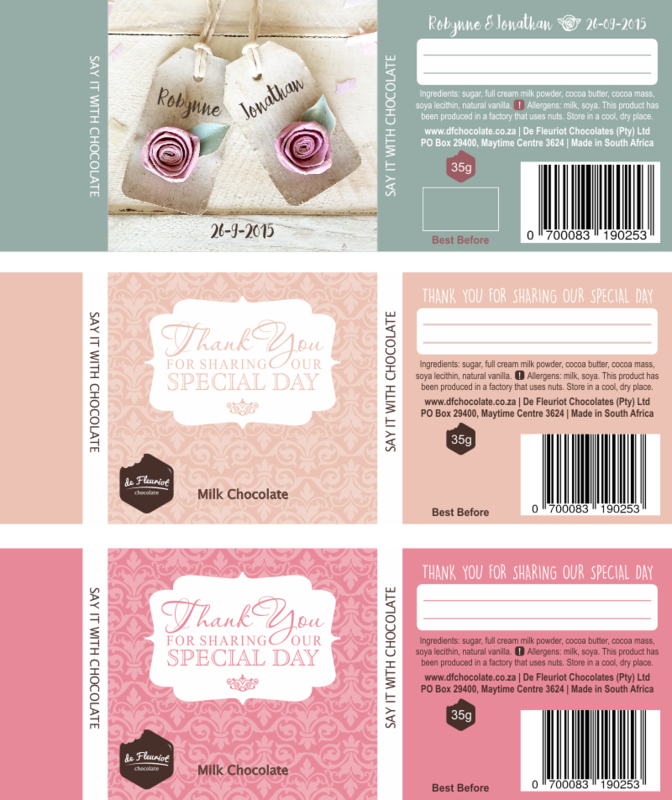 The other 2 are different shades of pink that the company offers (among other custom colours), when their clients order their chocolate bars for wedding favours. So, if you have an event or wedding coming up and are looking for beautifully wrapped chocolates, give De Fleuriot a shout. Yum.